Find your #1 Sun Lakes AZ Realtor that has the expertise you need! Thinking of Buying or Selling a Home in Sun Lakes AZ? It is important to find a Sun Lakes AZ Realtor that knows the market, real estate trends and has the inside knowledge that will help you when buying or selling a home. 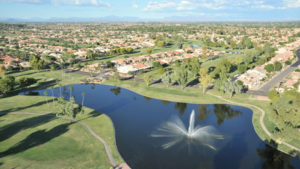 Sun Lakes is one of Arizona’s 55+ communities located in the southeast valley of the Phoenix area bordering Chandler. Sun Lakes is convenient to all major freeways including the I-10, the 101 and the 202. Sun Lakes is only a half hour from both Sky Harbor International and Mesa Gateway Regional Airports. And, you will find major shopping, restaurants, museums and medical facilities nearby. Sun Lakes AZ is one of the largest active adult retirement communities in the area. Sun City and it’s sister properties are the largest and located in the West Valley. Sun Lakes boasts nearly 10,000 homes in five communities. Sun Lakes Country Club was the first and built in the 1970’s. Homes are single family with some manufactured homes. Cottonwood Country Club followed with over 2700 single family and villa single level flats. Next came the three gated communities of Palo Verde, Ironwood and Oakwood Country Clubs. The community you select will be dependent upon your goals and lifestyle. Each community has its own golf course, swimming pools, tennis and pickle ball courts, restaurants, clubhouse and other resort amenities. But, each community has its own feel. Once you take a drive with us through each community, you will begin to feel which one is right for you. The National Association of Realtors says that over 90% of people start their home search online before contacting a realtor. It is important to find a Sun Lakes AZ Realtor that specializes in the area and knows the local real estate trends, floor plans, market analysis and how to help you find a home in a strong seller’s market. The Kolb Team is a top producing real estate group that has sold over 80 million in real estate and over 250 homes. Having served on numerous HOA communities, we know what is happening in Sun Lakes and how to help you find the right community and negotiate the best deal on your next home. Ready to Take the Next Step and Find a Sun Lakes AZ Realtor with the expertise and knowledge you Need? Contact us here or call 480-440-0849. Meet The Kolb Team in the video below!